Longtime partners Russia and India will boost long-term investment in the hi-tech, civil aviation, and defense sectors with the goal of increasing bilateral trade to an ambitious $30 billion annually by 2025, Russia’s trade and industry minister told RT's Ruptly news agency. “We are constantly searching for new ways to strengthen our trade ties to reach the target of $30 billion in annual turnover by 2025, the figure that was agreed on by our leaders earlier,” Russian Trade and Industry Minister Denis Manturov told RT's Ruptly news agency during his visit to India. Education, science, and a mutual transfer of technologies are key to building trust between Moscow and New Delhi, in addition to improving their political relationship, he added. “There are areas where we’ve been working with each other for decades, including arms trade, the energy sector, and the chemical and metallurgical industries,” Manturov said, mentioning a Rosneft deal to purchase a 49-percent stake in Essar Oil, one of the largest energy corporations in India. The massive deal also included the purchase of the Essar-owned Vadinar refinery, which is capable of producing 20 million tons of petroleum products a year, as well as chain of 2,700 gas stations in the world’s second most populous country. Both Russia and India are currently keen to diversify mutual trade, Manturov continued, citing India’s transfer of biotechnologies to Russia’s pharmaceutical industry as an example. 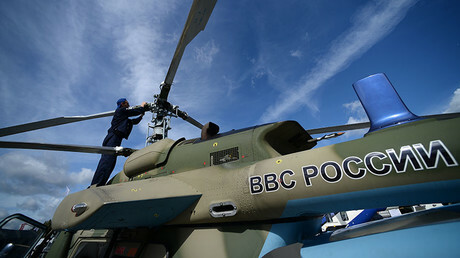 “We also expect that the development of [Russian] civil aviation industry would involve contribution of Indian manufacturers of aircraft components,” the minister said, adding that Moscow welcomes India’s investment in Russian Helicopters, one of the largest defense contractors in the world, as measured by annual revenues. To help India modernize its military, both countries will look at options for establishing joint ventures that would produce critical parts of Russian-made weapons systems used by India’s armed forces, Manturov said. 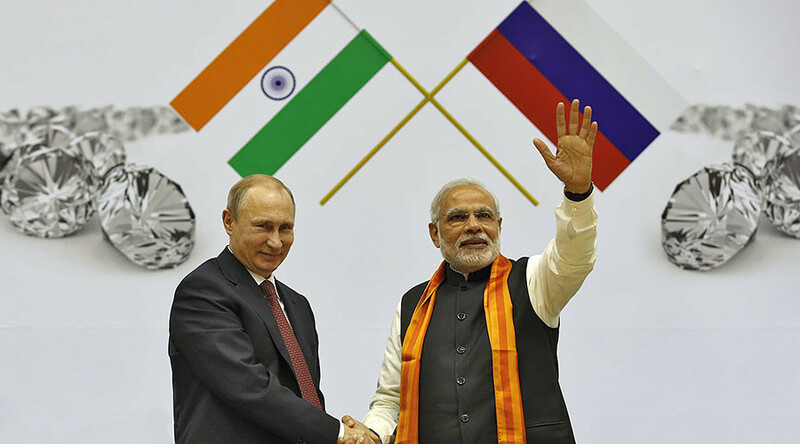 Russia and India have had close political and military ties since the days of Soviet-Indian partnership, and India is now a booming market for Russia’s most successful industries. Rosatom, Russia’s government-owned nuclear power corporation, has recently inaugurated its second reactor at the Kudankulam power plant in southern India. Two other reactors are currently being built at the same site. Russia also sees its already substantial arms trade with India growing. Over the past years, Moscow has delivered numerous state-of-the-art warships, combat aircraft, and land-based weapons systems to the country, despite fierce competition from Israel, France, and the US, which are all formidable arms purveyors.